Saturday, August 1st from 2-9 p.m.
Pendo will be there ! He will be bringing a passel of boards to view and ride. 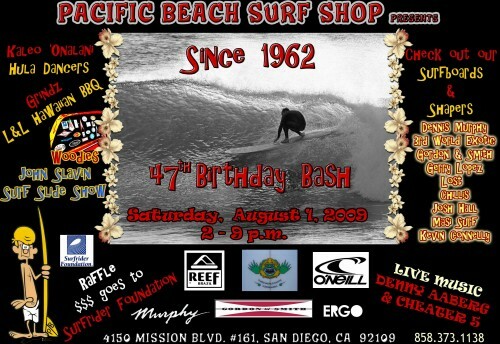 No Comments on "Pacific Beach Surf Shop 47th Anniversary Birthday Bash"